Donald Henagan is a man of compassion. He is faithful. His love and loyalty for his family and friends are second to none! His great knowledge of dentistry and his undeniable passion for his fellow man bring into existence … Dr. Henagan! “Doc,” as he is referred to by most people who know him, has been blessed with a down-to-earth spirit and caring heart. He has a genuine concern for the patients he serves. This concern goes well beyond their dental needs! Forming a strong bond and relationship with each individual is a top priority. Dr. Henagan believes all his patients should feel they are important and their concerns have been heard. He feels that his practice is unique. His dedicated team stands beside him, and treats every patient like family. Dr. Henagan has shared that there is no greater satisfaction than to team up with a patient and help people to achieve the smile of their dreams! During his time away from the office, Dr. Henagan can be found spending time with his wife Kelly, his son Logan and his wife Jordan, and his daughter Abigail and her fiancé Shea. The family enjoys being together! From having meals together to kayaking and everything in between, the Henagans are a close-knit family. Visits to and from his parents are cherished! The great-nieces and nephews are as close to him as his own children! Making himself available to his family in a time of need is embedded in his core! He seamlessly carries that over to his patients! Dr. Henagan graduated from LSU School of Dentistry in 1980. He has been serving New Iberia and the surrounding area since that time. Shortly after graduation, he completed the Continuum at the Pankey Institute and Peter Dawson in Florida. The Pride Institute has guided Dr. Henagan in leadership and management for more than 30 years. He is proud to be an alum of this program! 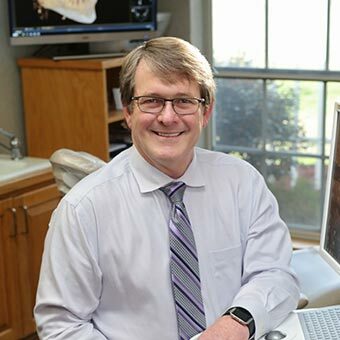 In order to stay on the cutting edge of dentistry, Dr. Henagan continues his education with both of these institutes, as well as the LSU Cosmetic Continuum. CEREC® same-day crown technology was implemented into his practice in 2001 and has had one of the greatest impacts in his dental practice. In 2009, mentoring fellow colleagues on using CEREC technology (throughout the entire state of Louisiana) became an activity he really enjoyed doing. He remains active with teaching to this day. In 2014, Dr. Henagan attended the first annual Pain Continuum at LSUHCS. Dental implants were the next service Dr. Henagan acquired the ability to provide. The newest addition to the practice is Cone Beam Computed Tomography (CBCT). This state-of-the-art technology has opened doors to diagnosing treatment in a way never before possible. Dr. Henagan works diligently every day to find new and better ways to deliver the best that dentistry has to offer ... Creating Smiles to Last a Lifetime!